Packaging Coin Twist Tobacco Tins Part 1. As I told in my Humble Beginnings part 1 blogpost one of my influences to start pipe-smoking is Ton, the father of a long time friend of mine. The last half year we spoke quite a lot with each other. We can get along great, I mean, he smokes pipe, I smoke pipe, he likes whisky, I like whisky. ‘Nuff said right? 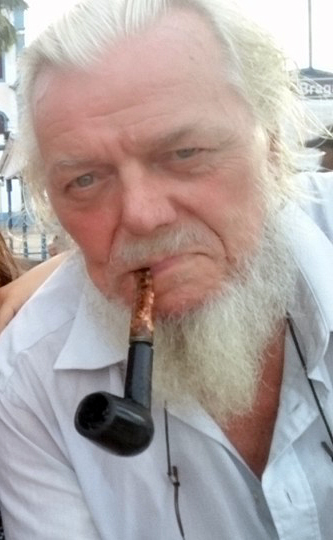 Ton is what I call an old school pipe-smoker. He smokes from just a couple of pipes until they are utterly used up to the point that he has to hold them together with duct tape. As far as tobacco goes he only smokes a couple of blends (preferably Amphora) and that’s it. So I helped him get some other pipes and pointed him towards the blends of Motzek, which have a good price/quality ratio. Ton is a retired packaging engineer so when the subject came up I asked what he had done in the past. To my surprise it turned out that he was one of the pioneers if not the pioneer in the automatization of the packaging of the (for us pipes-smokers) well known coin twist tobacco tin. So I asked him to write a guest-blog about this. Beware, it sometimes gets a bit technical but nonetheless it is a very interesting read! In the world of pipe tobacco the so called 50 gr. “coin twist tobacco tin” was (and still is) one of the most popular packages for pipe tobacco. 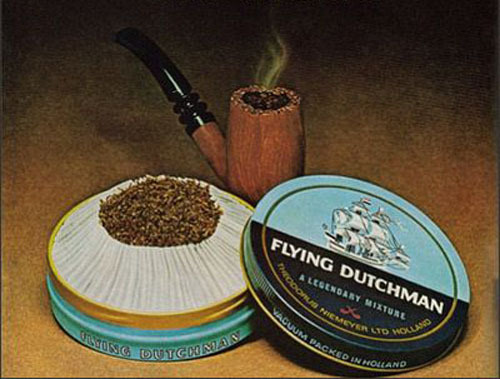 One of the well-known brands in this category was Flying Dutchman, manufactured by the Dutch tobacco company Royal Theodorus Niemeyer Ltd. in Groningen, currently part of the multinational British American Tobacco (BAT). In that epoch, we talk about the 50’s and 60’s of the last century, the whole process of filling and packing the coin twist tin was a manual process. During the mid-70’s, when all types of industry were looking into automating manual production processes (particularly packaging consumer goods, as labour costs were increasing) Theodorus Niemeyer invited my engineering company (which specialised in packaging technology) to design and build an automatic packaging line for the Flying Dutchman 50 gr. coin twist tobacco tin. Picking a tin bottom from a large box in which they were freely stored and align it properly into the conveying system of the packaging line. Separating one single paper rosette from a fiercely pressed stack of rosettes, (we used an air stream to separate the rosettes from each other) and place the rosette into the bottom of the tobacco tin. The third step was the most important and complicated one. Weighing 50 gr. loose pipe tobacco and nicely press it into the rosette placed in the bottom of the tin in such a way that after pressing the rosette could be folded close, like flower petals close for the night. As said this was the most critical step as tobacco in general is very springy and tends to return to its original volume (which was larger than the volume of the unfolded rosette), consequently making it almost impossible to fold the rosette over the tobacco and close the tin. In the manual operation the packaging girls could correct by holding the hand press down for a longer period and put the cap of the tobacco tin immediately on top of the bottom using the cap as second press to keep the springy tobacco under control. 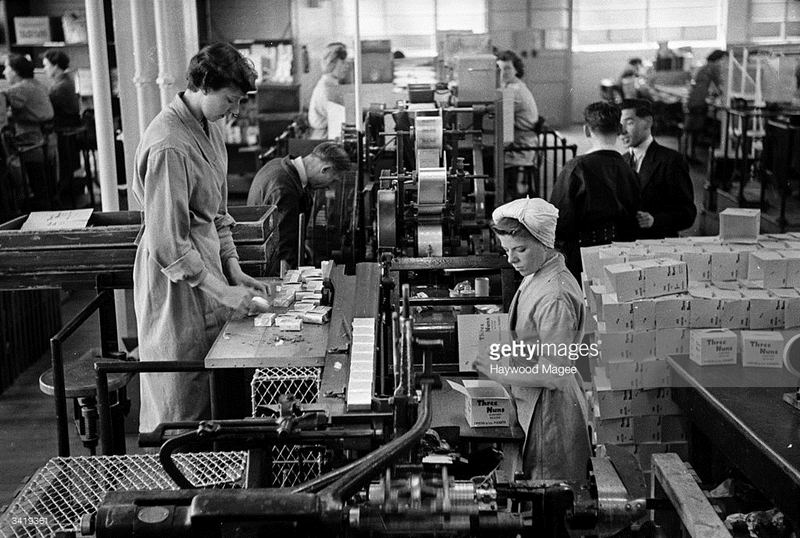 As the automatic packaging line had to replace a row of packaging girls, we didn’t have the luxury to hold the pressed tobacco down for an extended time. And that brings us to our patented tobacco pressing system. More about that in a minute, as it’s the heart of the development and based on one of my patents. The last steps of the automatic packaging line are the positioning of a thin circular piece of plastic film to cover the “open space” on top of the tobacco after the paper rosette is folded closed. And finally the selection, aligning, positioning and pressing down of the lid of the tobacco tin. It is important to keep in mind that it was the 70’s of last century and there were not yet available any electronic devices, no pc’s or plc’s, no computerised automatization. Everything had to be executed either pneumatically, mechanically or electrically by means of relays and similar devices. This made for huge and complicated control panels. I have a second observation to make. As I designed and built this Theodorus Niemeyer packaging line, as well as the two tobacco packaging lines on which this was based, some 50 years ago, I have unfortunately no technical drawings or photographs to show any more. The invitation by Theodorus Niemeyer to design and build the tobacco packaging line had a prelude, as I had just finished a large project for the design and construction of two tobacco packaging lines for Société Nationale des Tabacs et Allumettes (SNTA) in Algeria. Although the Algerian tobacco lines were large installations for the leaves and stems tumbling out of the primary processing section and pressed and packaged in large 100 kg. wooden folding cases, Niemeyer obviously had the impression that the revolutionary pressing cycle I had developed for the Algerian lines could be built in miniature for their 50 gr. 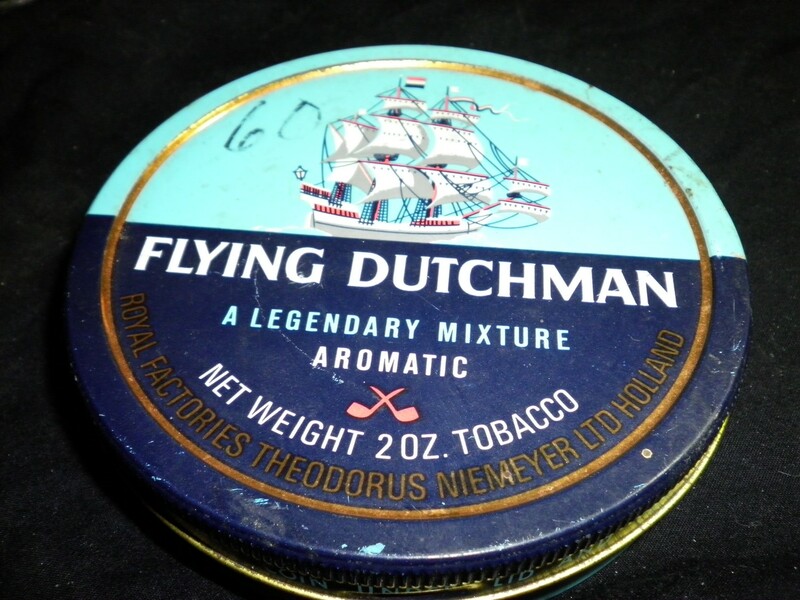 Flying Dutchman tobacco tins. And that brings us to the heart of the problem of packaging loose tobacco. In other words I have to explain the special design of the press cycle for the Algerian lines to justify the reasoning that Theodorus Niemeyer thought a miniature design for the 50 gr. Flying Dutchman was feasible to solve its problem. I’m well aware that most readers of this blog have at least basic knowledge about processing tobacco, but it is essential for this article to know something about tobacco processing and consequently I take the liberty to include a section about this topic. Note: As I said before I have no photos, images or drawings of the original SNTA packaging lines I developed. It’s too long ago and by wandering throughout the world I lost all of my archives, documents and much more. To illustrate this article I use some images from Lee’s Trading (Kunming) Co. Ltd in China. I have no experience with this company, so don’t see it as an endorsement, there is no commercial interest involved from my side. The pictures are for illustration purposes only. 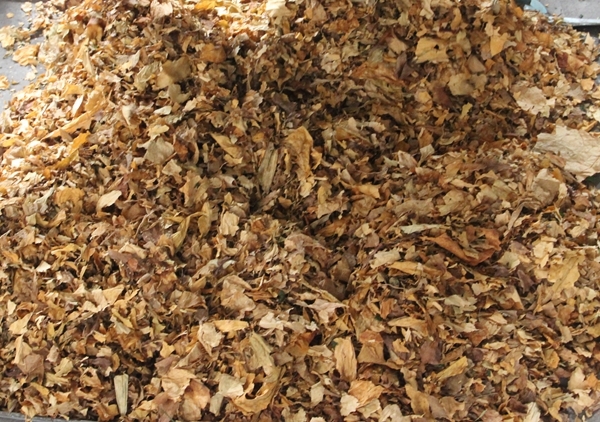 Primary processing where tobacco stem is separated from the leaf (lamina) and both leaf and stem prepared to the stage at which it is ready for inclusion in the finished product. Secondary processing includes forming the cigarettes, cigars, pipe tobacco or any other consumer product and packing. 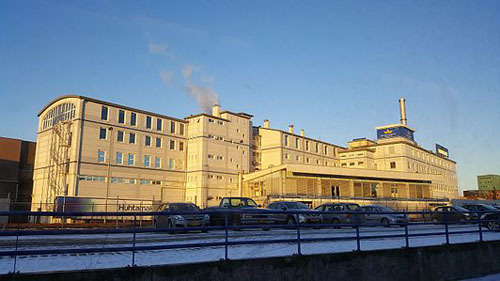 Some factories at which tobacco materials are produced undertake both primary and secondary processing. Others undertake either one or the other alone, either sending the tobacco which has been subjected to primary processing elsewhere for secondary processing. And that was the situation in Algeria. The new to-be-built plant in Algiers, the capital of Algeria at the coast of the Mediterranean Sea, was a typical primary processing plant and distribution centre, supplying the pre-prepared and pressed tobacco in wooden boxes to the secondary processing plants (cigarettes) spread throughout the country, even in the far south halfway the Sahara desert (I had a beautiful trip to visit this plant going over the Atlas Mountains). The preliminary processing of tobacco involves curing the leaf (either by air, heat or sunlight) followed by threshing to separate the lamina and the stem. 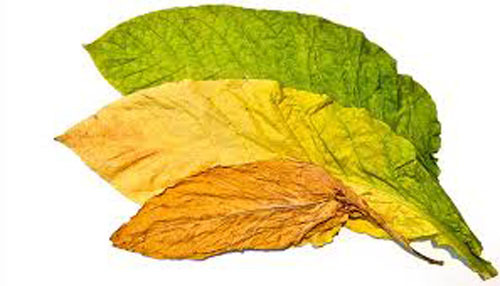 The tobacco is first subject to a conditioning process using steam to ensure that the tobacco is sufficiently pliable to allow the subsequent processing steps to be completed without damage to the material. In some circumstances additional materials may be added at this stage for flavouring the tobacco. Although the composition of tobacco threshing and re-drying varies due to different factories, all threshing and re-drying lines include three basic procedures: threshing, lamina and stem re-drying and the pre-pressing and packaging procedure. The threshing unit is one of the key equipment in the primary process step and it has decisive effects on the quality of finished products. Precise separation and counter-flow winnowing ensure good lamina-stem separation results. 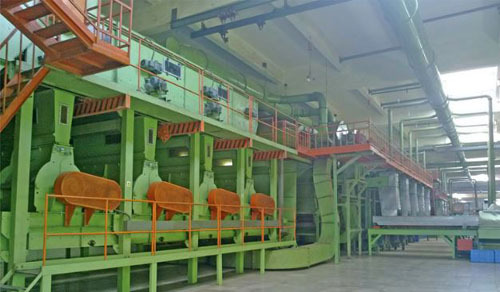 Following the threshing cycle the loose and pre-processed lamina are conveyed to the pressing and packaging system, where the lamina with required moisture and temperature is pressed into shape, then packed and strapped in bales for easy storage and transportation. The system has a metering check weighing function. This is tobacco geek GOLD! Hopefully I won’t have to wait very long for part 2!